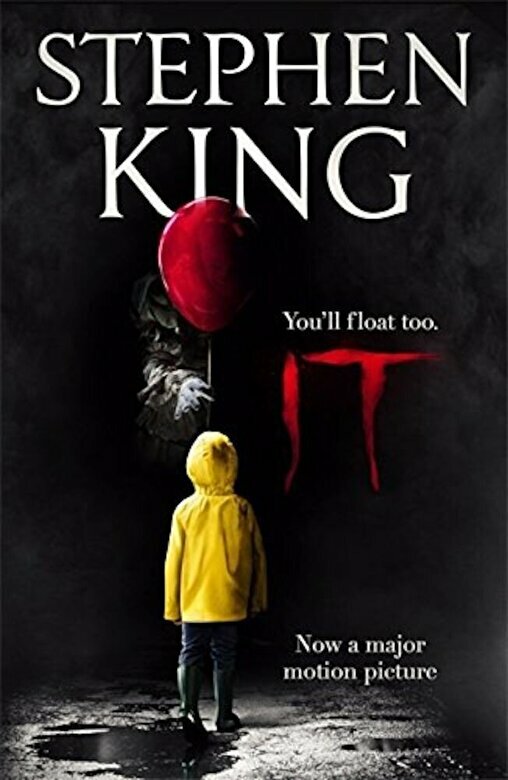 Prezentare Film tie-in for the new 2017 film, which will be in theatres from September 8th.NOW A MAJOR MOTION PICTURE - Stephen King's terrifying classic. 'They float...and when you're down here with me, you'll float, too.' Derry, Maine is just an ordinary town: familiar, well-ordered for the most part, a good place to live. It is a group of children who see - and feel - what makes Derry so horribly different. In the storm drains, in the sewers, IT lurks, taking on the shape of every nightmare, each one's deepest dread. Sometimes is appears as an evil clown named Pennywise and sometimes IT reaches up, seizing, tearing, killing . . . Time passes and the children grow up, move away and forget. Until they are called back, once more to confront IT as IT stirs and coils in the sullen depths of their memories, emerging again to make their past nightmares a terrible present reality. Biographical Notes Stephen King has been described by the Guardian as 'one of the greatest storytellers of our time', by the Mirror as a 'genius' and by The Sunday Times as 'one of the most fertile storytellers of the modern novel.' In 2003, he was given the National Book Foundation Medal for Distinguished Contribution to American Letters. He lives with his wife, the novelist Tabitha King, for most of the year in Maine, USA.